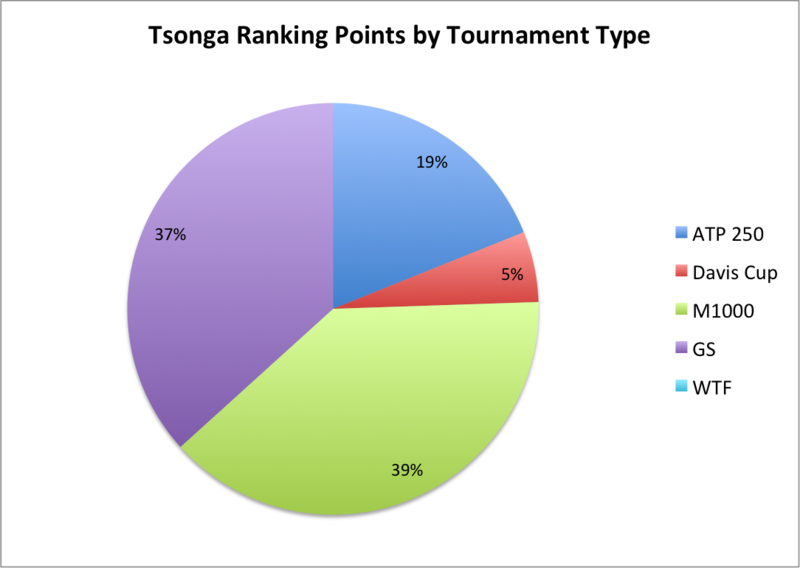 Last year, I broke down the Big Four’s ranking points by tournament type to create a visualization of where their ranking points were coming from. I thought it would be fun to do the same for the 2013 year-end ATP top 10. 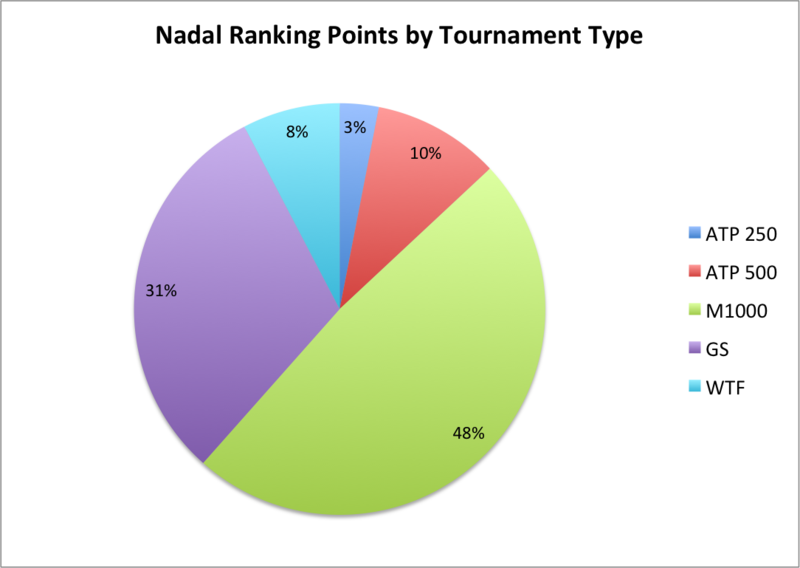 It’s amazing how many points Nadal picked up at the Masters 1000 events in 2013. Can he match that performance when he has to defend those next year? It might not matter, given the fact that he picked up a combined 10 points at the Australian Open (didn’t play) and Wimbledon (l. 1R). 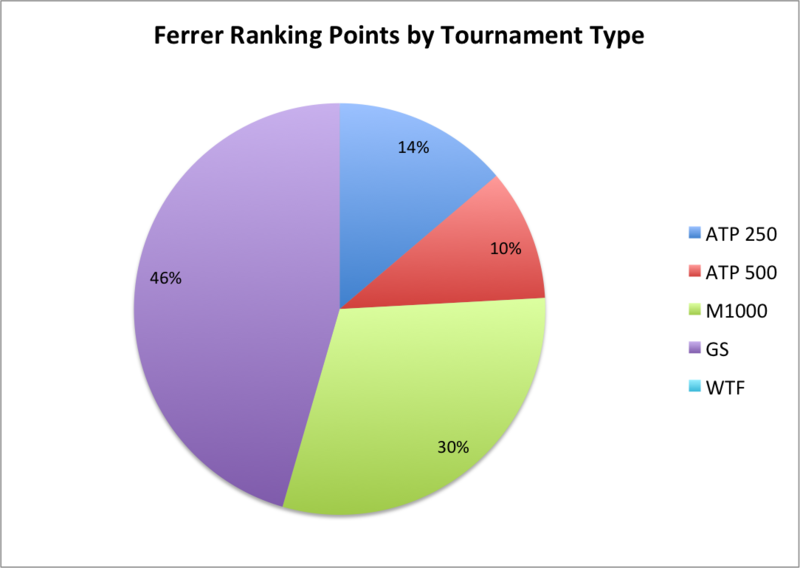 Speaking of defending points, Ferrer has a pretty massive chunk of those to defend at the Australian Open (SF) and French Open (F). It could get ugly for his now-deceptively high ranking if he does poorly at one of those events. 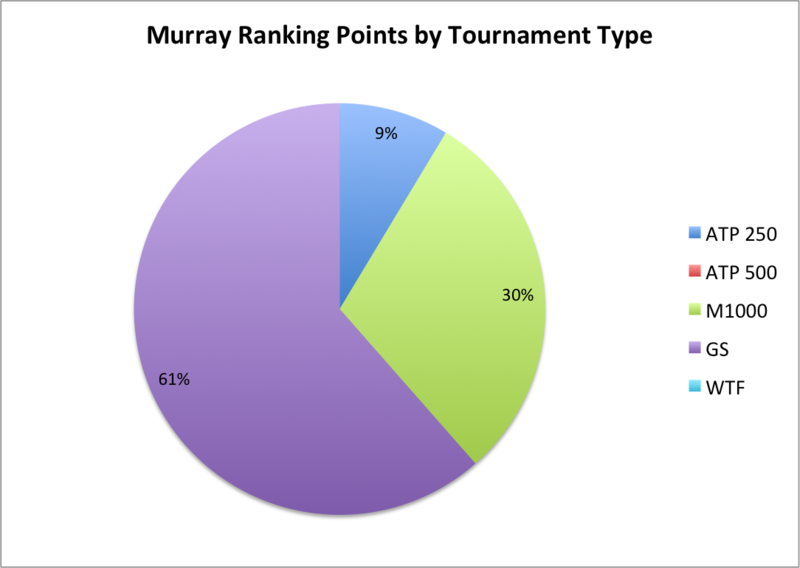 Murray‘s chart is funny because he earned a whopping 61% of his ranking points from Grand Slams, mostly because of his season being cut short due to injury. Still a great year for the World No. 4, given what he was dealing with. Del Potro is the king of ATP 500s. 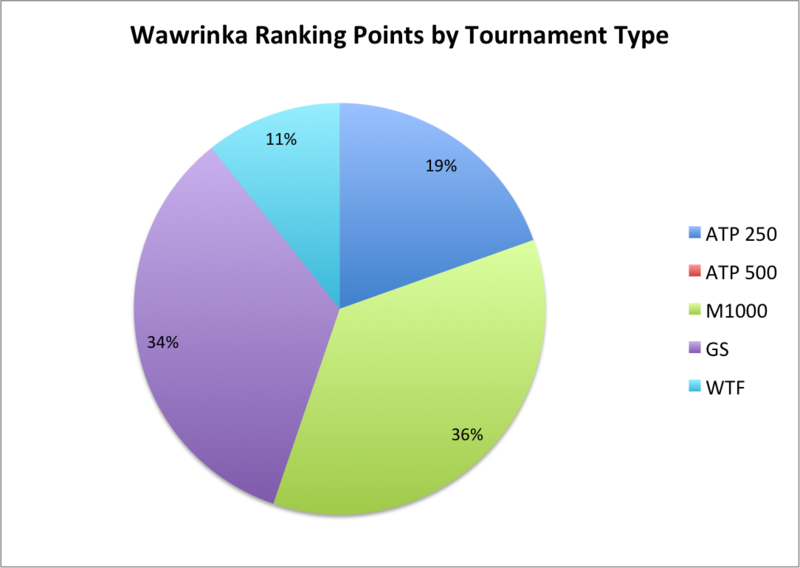 He won four of the five ATP 500 tournaments he played this year, earning him 2000 points, the ranking points equivalent of winning a Grand Slam. 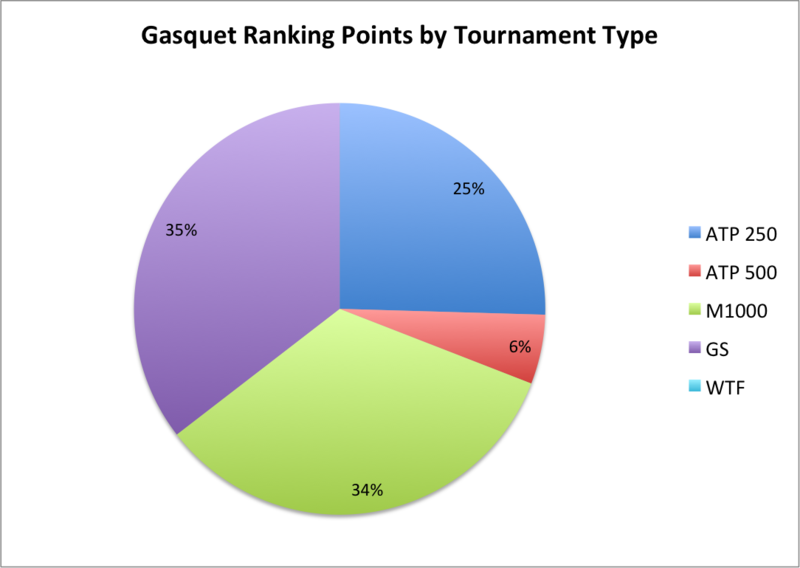 Surprised that Gasquet did pretty well in slams.It will be interesting to see how he’ll fare in 2014. Interesting post. 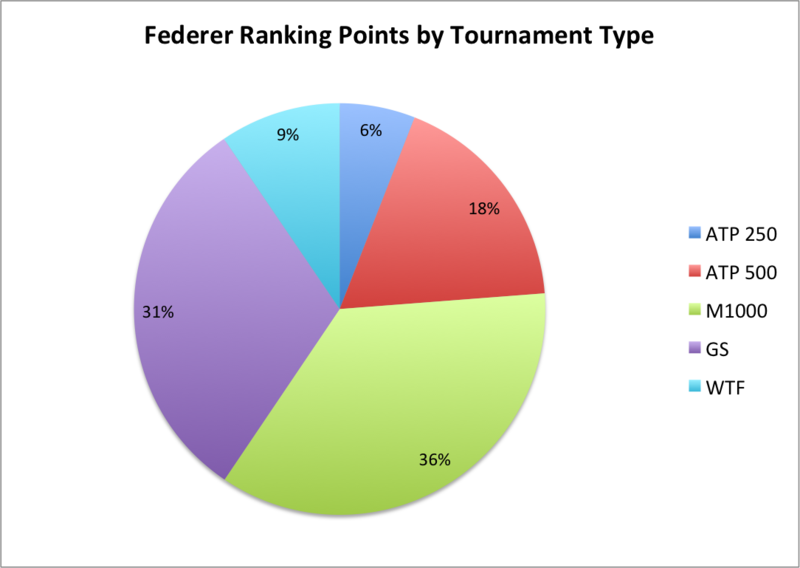 The majority of Ferrer’s points do come from the slams, but he’s got minimal points to defend in Indian Wells, Monte-Carlo, Toronto, Cincinnati and Shanghai. If he does better in those events than this season then his ranking shouldn’t suffer too much (though he’ll probably be overtaken by Murray and probably Del Potro fairly early in the season). 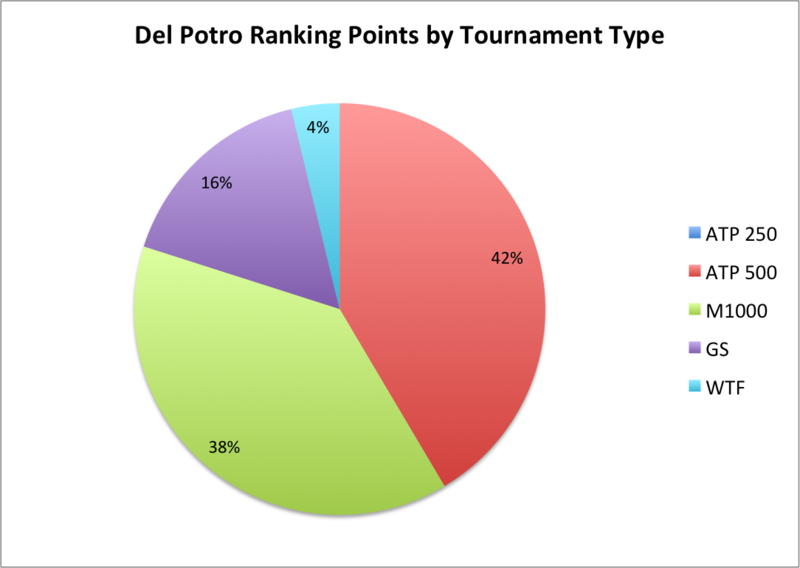 Del Potro stands out in having such a high proportion of his points coming from 500-level events. After his below-par slam performances this season (apart from Wimbledon) hopefully he’ll focus more on the bigger tournaments next season. 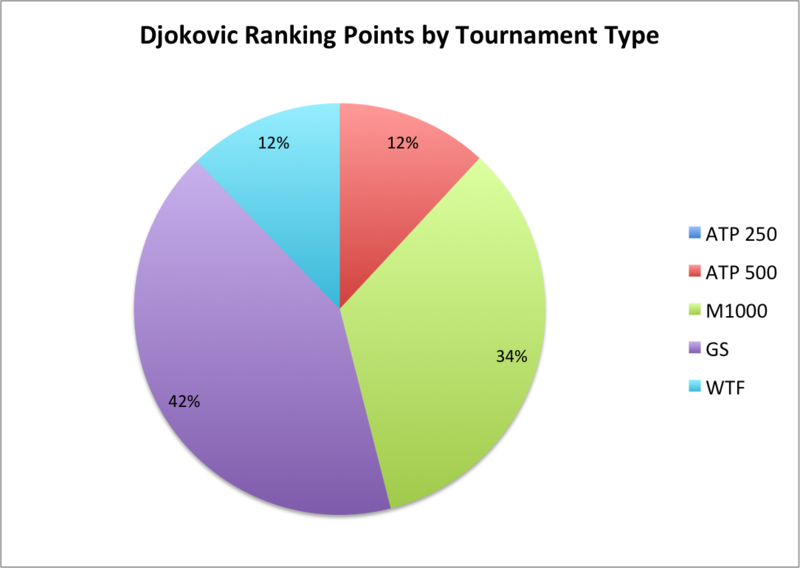 He should have a top 4 ranking in some of the slams – I’ll be interested in seeing what results follow for him. thanks – this is very interesting! 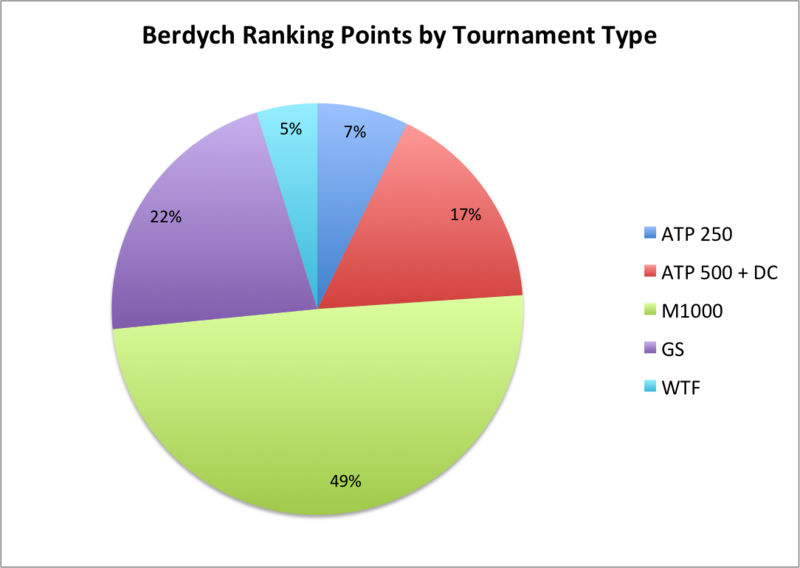 I like these charts аnd I’ve published them in my blog on russian sport site http://www.sports.ru/tribuna/blogs/spaghetti/544295.html. Thank you very much!